The Artificial Intelligence and Machine learning has already changed our lives over the last few years and have been transforming many areas such as healthcare, education, transportation, fashion, banking, etc. But when it comes to the main corporate functions, where the risk of any bad decision are significant, the use of AI and machine learning is still in process. 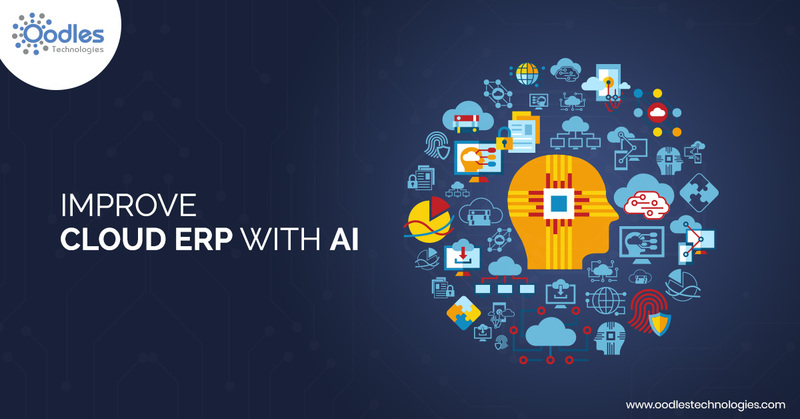 Though companies are getting aware of the importance of AI and machine learning to improve the ERP tools. The growth of new opportunities and the new era of digitalization, companies are forced to re-evaluate ERP’s role. The current ERP models are not able to deliver what they are supposed to for the growth of the company. This can be transformed by combining AI and Machine learning with the Cloud ERP providers. To ensure the success of your business, it is important to update the ERP system constantly. The Artificial Intelligence along with machine learning gives the details about how overall Equipment effectiveness(OEE) can get better. When Cloud ERP platform acts as nothing but the self-learning system, data and production assets provide the details for improvement. With the use of Constraint-based algorithms, machine learning can successfully find patterns in the large voluminous data sets. Machine learning algorithm can predict what the supplier wants, as they all have different needs and different delivery schedule. This pattern can be easily tracked by the use of machine learning algorithms. The machine learning algorithms have the ability to tell the riskiest supplier of the lot. With the good use of Big Data, we can get the better insight of the suppliers from the predictive models of the machine learning. Cloud ERP providers help in improving the data latency rate and accuracy. The product quality can definitely be improved by the use of machine learning algorithms, as they analyze and learn from the customer behavior, product failure, and quality control. Cloud ERP platforms can track the quality of data from the supplier to the customers.